NEW BERLIN, N.Y. (July 9, 2018) - Possibly some of the best weather to ever grace the Unadilla MX facility greeted the ATV Motocross Championship (ATVMX) presented by CST Tires, an AMA National Championship, as round 8 took place this past weekend. 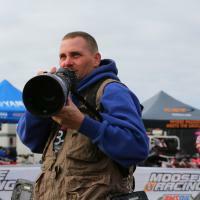 Plenty of sunshine and below average temperatures were a welcome treat to the NYCM Insurance ATVMX National as racing got underway on the legendary dirt that makes up the motocross track, which holds so much racing history. Fans took their positions along the fences to catch all the action as the AMA Pro riders took to the gate for moto one. The points standings for the 2018 National Championship remain razor thin, and with only six remaining moto left in the season anxiety was high as the seconds counted down to the first gate drop. Wienen Motorsports/Yamaha/Maxxis’ Chad Wienen grabbed the holeshot, but close behind would be Rockford Fosgate/Ti-Lube/Honda’s Joel Hetrick giving chase as the pair quickly separated themselves from the rest of the pack. The laps started racking up as Hetrick appeared to be keeping Wienen in check, while also riding in a position that would allow him to capitalize on any mistake. This also allowed him to see just how the leader was going to handle the home of horsepower. A slight bobble from Wienen at the berm right before horsepower hill from was exactly what Hetrick was looking for at precisely the time Hetrick looked to be making a run. Already diving to the inside, Hetrick had the momentum to put his Honda where he needed it to take the lead as the riders raced up the hill and out of sight. With the lead now in Hetrick’s control, the battle at the front of the pack settled into a familiar pace that remained until the checkered flag flew. Hetrick would take the moto one win while Wienen came through in second, unhappy with his moto finish. However, Wienen did express he was in this championship hunt until the very last lap. This should bode well for the fans attending the final two rounds as the competition level remains at a fever pitch this late in the season. 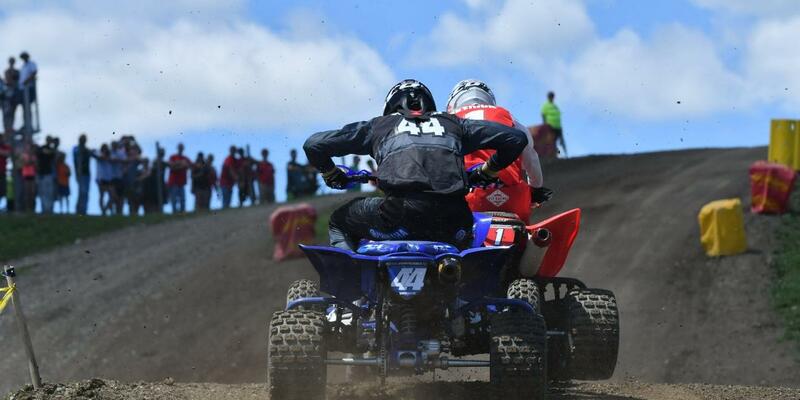 The battle for the final podium position went to Tbrown84 Training/CST Tires’ Thomas Brown who has found his speed and had an impressive run during moto one at Unadilla. Battling briefly with Baldwin/Jeff Rastrelli Land Grading/Ford Brothers Racing Honda’s Jeffrey Rastrelli, Brown would race to a solid third in the first moto followed by Rastrelli who showed some noticeable improvements as he continues to get back in the fight while still dealing with his lingering injury. Behind the top four the racing was intense as JH Racing/Walsh Race Craft/SSi Decals’ Zach Kaczmarzyk had a break out race as he qualified well and continued to bring that speed into the first moto. Kaczmarzyk battled hard with GennUSA Racing/CST Tires/Corrosion Specialties’ Nick Gennusa and held his own throughout the moto with Gennusa getting around him and running to the checkers with a fifth place finish pushing Kaczmarzyk to sixth. However, Kaczmarzyk’s solid racing did not go unnoticed as he has been pushing harder each round and his results are starting to show as he has begun to battle for top five finishes. As moto two neared, the momentum started to build as the world’s fastest ATV motocross racers geared up and headed to the line to race the final moto of the weekend. When the gate dropped it was Hetrick ripping the holeshot, something Wienen did not need. With a clear track ahead of him, Hetrick set a blistering pace that would remain unmatched. Hetrick would lead from gate drop to checkered flag, earning him his fifth overall win of the season. Second place would fall to Wienen after finishing 2-2 in New York. Wienen is now forced to look ahead at the remaining races left in the season and try to find a way to halt Hetrick’s charge to another National Championship. The podium would be set as Brown’s fourth place finish in moto two earned him another third place overall on the weekend. However, it would be Gennusa claiming the third spot in moto two after an excellent performance. Gennusa has been recovering from a lingering injury and may have turned a corner in his season. He could be one to keep an eye on and a podium player in the final two rounds of racing this season. 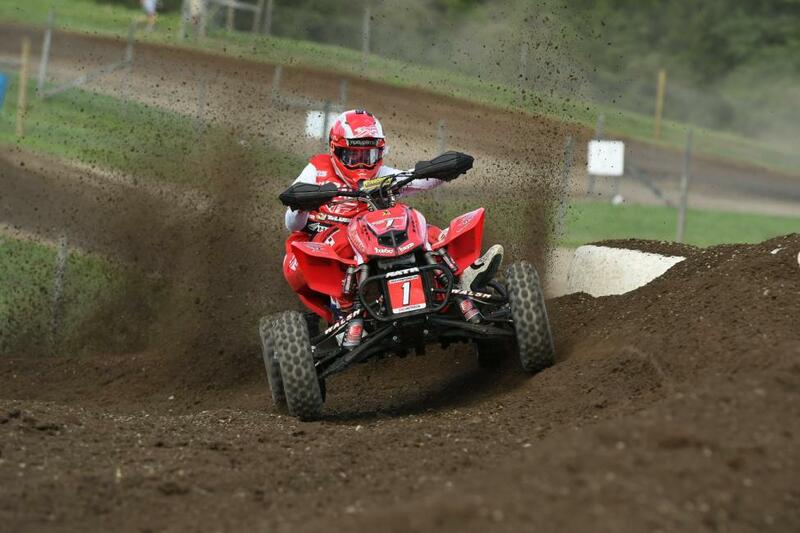 Rounding out the top five overall was Rastrelli, who had a set of 4-5 moto finishes on the day at Unadilla. Kaczmarzyk had another great race finishing sixth overall after earning 6-7 moto finishes. 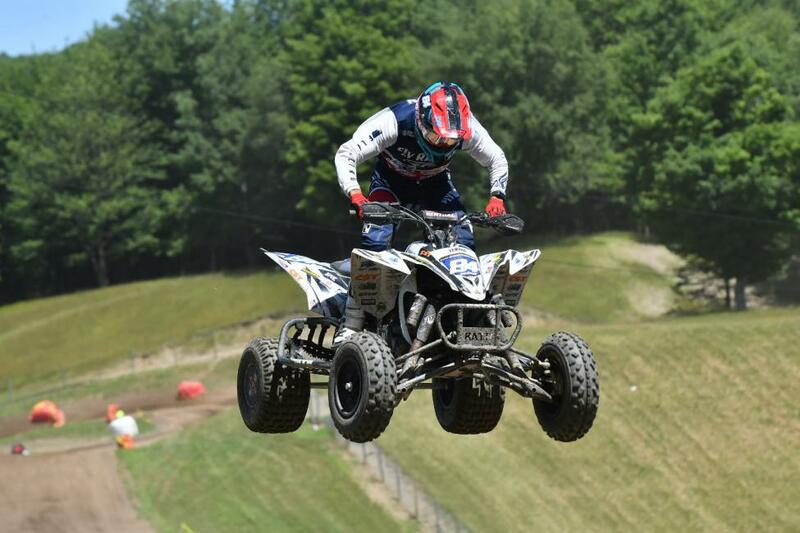 Kyler Lenz Motorsports’ Sam Rowe had another top-ten performance in New York. Rowe finished seventh overall and sits just outside the 10th place in points after a rough start to the season. 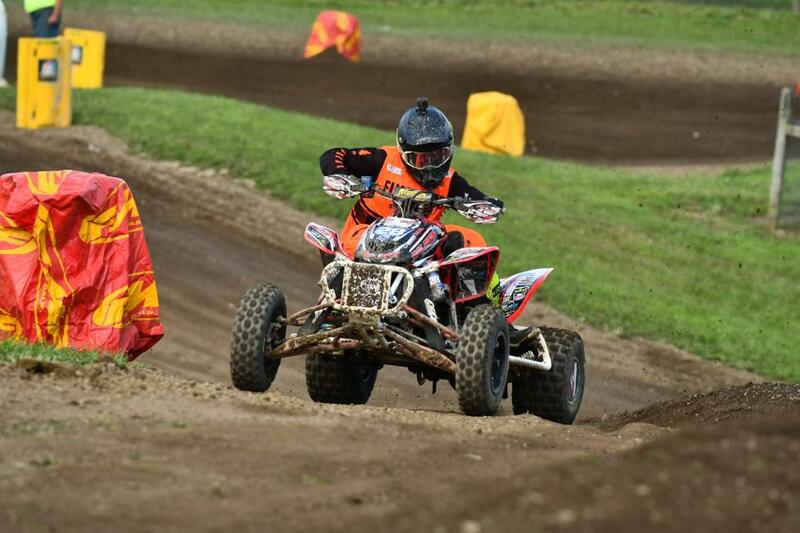 Rockford Fosgate/Ti-Lube/Honda’s Haedyn Mickelson earned his best overall finish of the season with an eighth place. Mickelson is also currently ranked first in the Pro Am class, which races on Sundays. 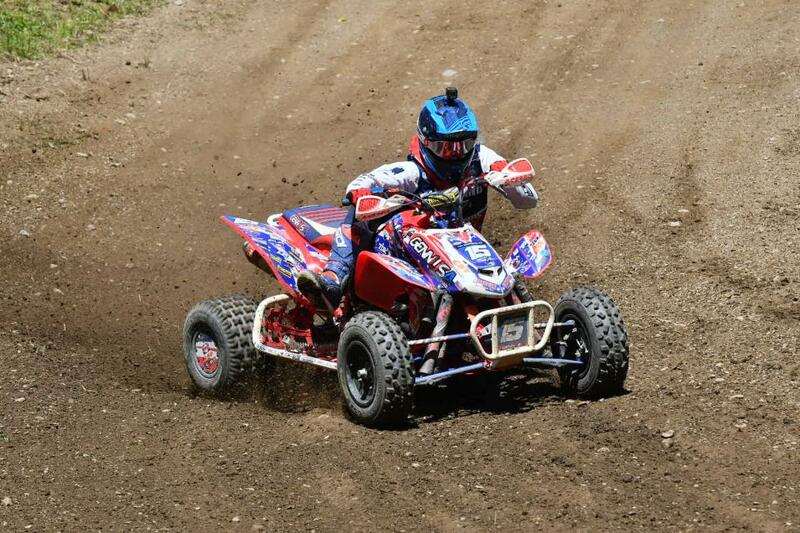 GBC Motorsports/Hetrick Racing/Walsh Race Craft/Solo Pilot’s Westley Wolfe came back in moto two to earn a sixth place position after a disappointing 13th place finish in moto one. Wolfe finished ninth overall at Unadilla and is looking to improve his standings as the series heads into its penultimate round at RedBud. 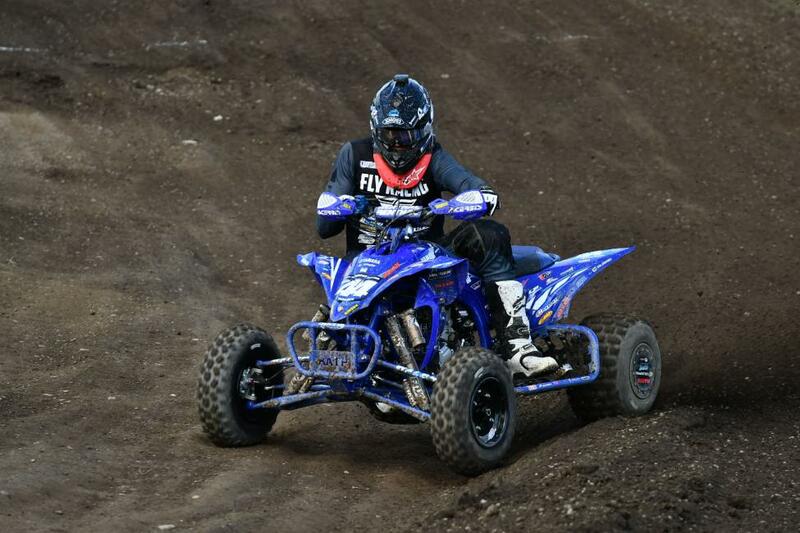 AGR/HEP ATV/Moto Trim/Crossfit North Peoria’s Drake Koelling earned another 10th place overall on the weekend after going 9-10. 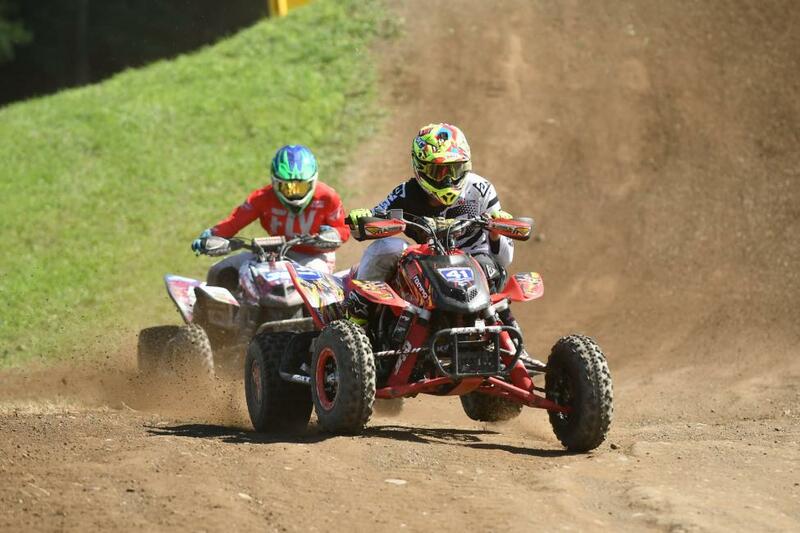 The ATV Motocross National Championship heads to yet another infamous facility as RedBud is next on the schedule on the weekend of July 21 and 22. As a real war is being waged for the National Championship, this should prove to be another exciting and intense race not only for Hetrick and Wienen but for those who have worked hard all season and wish to leave their mark on the 2018 season.